A luxurious spa with a professional level of hydrotherapy. Modern, soft flowing lines with rounded corners and curved sides incorporating weatherproof decorative panels. Its shape has been carefully contoured to provide smooth, full depth seating, natural reclining positions and a special therapy seat. Features also include supporting armrests, padded headrests and safety handrails, plus an entry step that doubles as a small child’s seat and a foot massage section in the floor well. 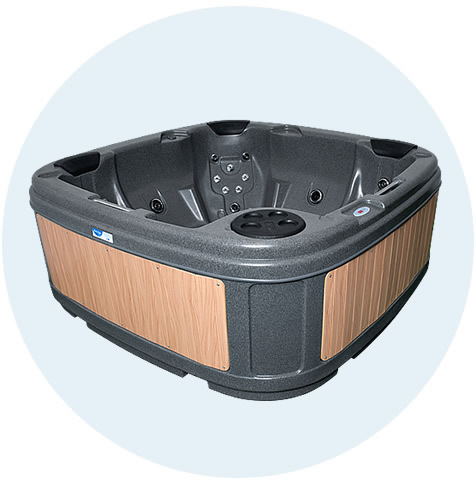 Finished in an attractive granite-effect, the DuraSpa is easy to clean and UV stable. 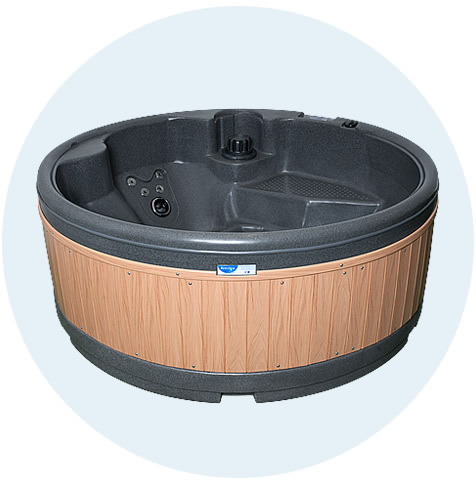 It’s a truly portable, hard wearing, low maintenance and economical five person spa. Size 1990 x 1990 x 770 Deep Fits through standard doorway!